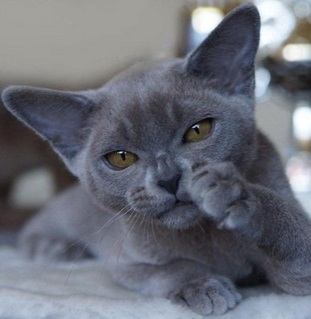 The Burmese investigation «Let's make it clear!» is addressed to the future cats owners of the unique Burmese breed, that is to you, dear reader. In this article we will tell about the basic distinctions between European and American Burmese on concrete examples. We have tried to state all information short, in intelligible and clear form, with explanations and photos, having avoided professional complexities whenever possible. We hope that this article will be useful for you. Anyway, it will help to save a lot of time on searching the information in Internet, and having read this material you will get clear ideas about the distinctions between European and American Burmese. 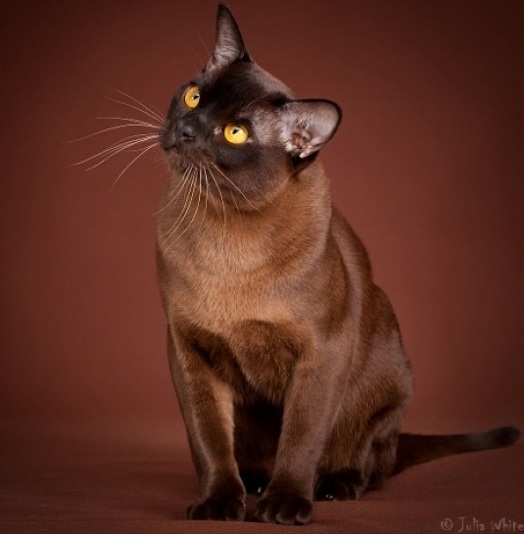 The name of our favourite breed – BURMESE is only the general name which includes 2 separate breeds: BURMESE ("American") and EUROPEAN BURMESE. 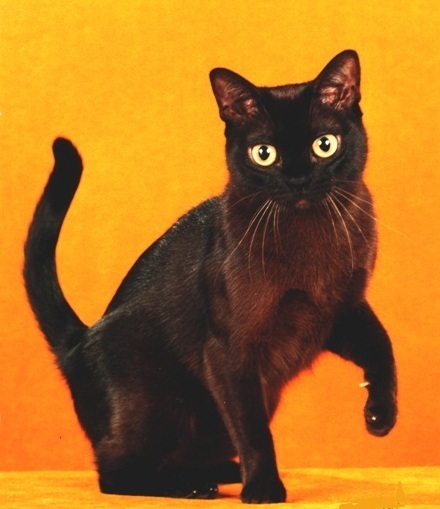 And the European and American representatives are extraordinary beautiful and have the well-known Burmese temperament, bewitching sight and the grace of a panther ….but, all the same, these are two different breeds! One of the distinctions consists in quantity of COLORS, registered in standards of European and American Burmese. The American standard provides four possible colors: sable (correspond brown), blue, champagne (corresponds chocolate) and platinum (corresponds lilac). 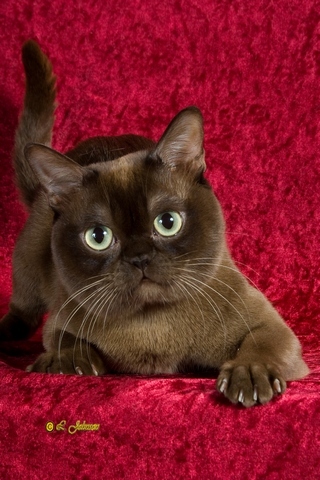 Now there are ten colors of Burmese cats recognized in Europe: the brown, blue, chocolate, lilac, red, cream, brown tortoise, blue tortoise, chocolate tortoise and lilac tortoise. Look attentively. What are the most strongly pronounced differences, have you noticed? No doubt, it is EYES! 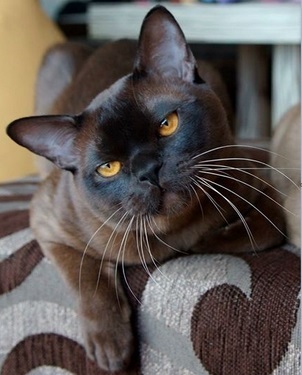 Eyes – a mirror of this cat`s soul and a road to your heart. Look, what do they differ with? That is true, the form! It is visible with the naked eye. 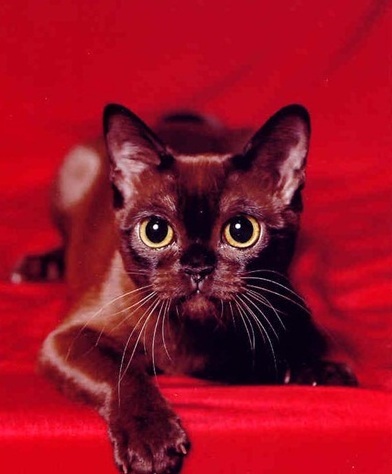 The European Burmese has big and wide set eyes too, but the top line of the eye is straight, with an easy decline to a nose, with oriental manner, the bottom line of an eye rounded off. A severe look frowningly – a highlight of the European Burmese! Let`s make it clear further. Look at ears please. Is the difference obvious to you? 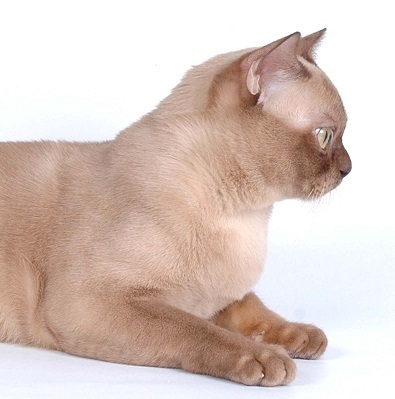 American Burmese has ears of the average size, wide at the basis, rounded off on the ends, rather wide set, but in comparison with European, as a rule, they are of smaller size, located closer to each other and more vertically. 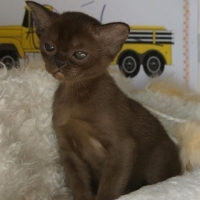 European Burmese has ears low set, of average size, in a profile they are slightly inclined forward. Holding of ears is wide enough, i.e. 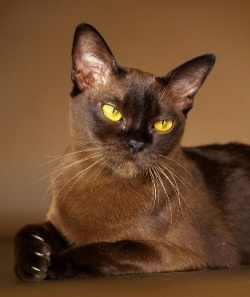 the distance between ears is much more, than at American Burmese, breeders call them "branchy". The external line of ears continues the cheeks line. Look attentively at the form of the head of European and American Burmese. 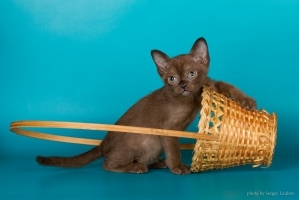 The muzzle of the American Burmese has the roundish form, with roundish outlines of all parts and absence of flat surfaces, it is shorter and wider, than the European one, cheeks full. 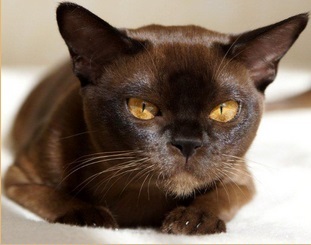 The muzzle of the European Burmese has the form of a short obtuse wedge, with slightly roundish top part between ears, wide cheekbones and jaws, a strong chin. As a whole, expression of their muzzle is orientally mysterious. Pay attention to the constitution and extremities of both types of Burmese. 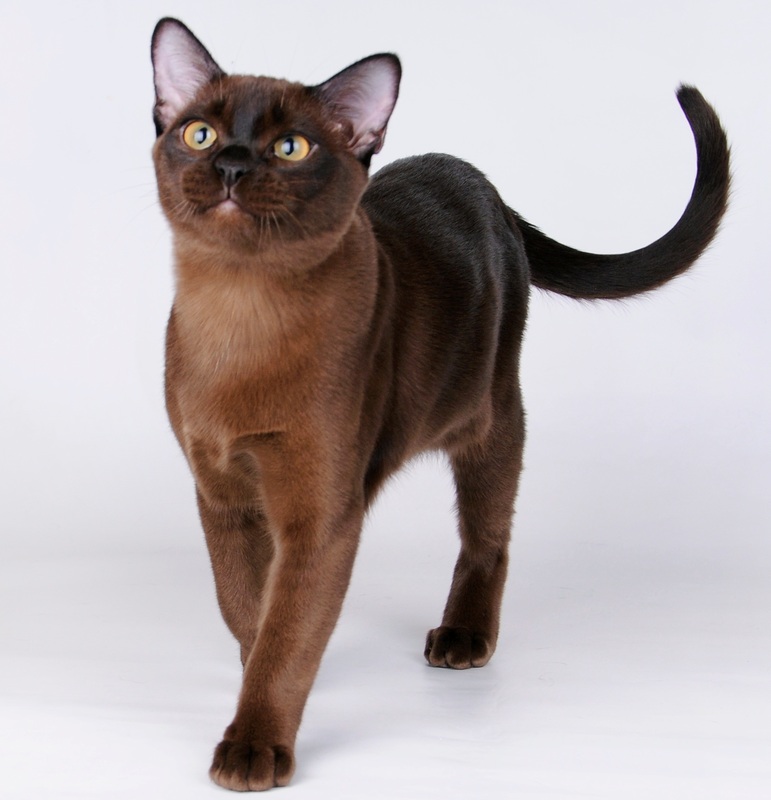 American Burmese differs by the compact and heavy build, the developed muscles. Its feet don't look thin, and pads have the round form. 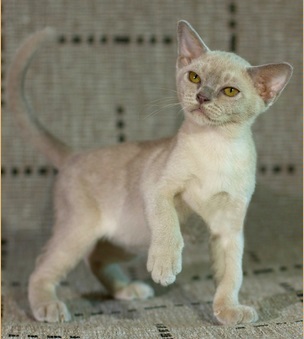 European Burmese - a cat of average size, elegant by sight, with the refined lines, compact, but a little easier skeleton. Feet are of average length, rather thin, pads are graceful, oval. 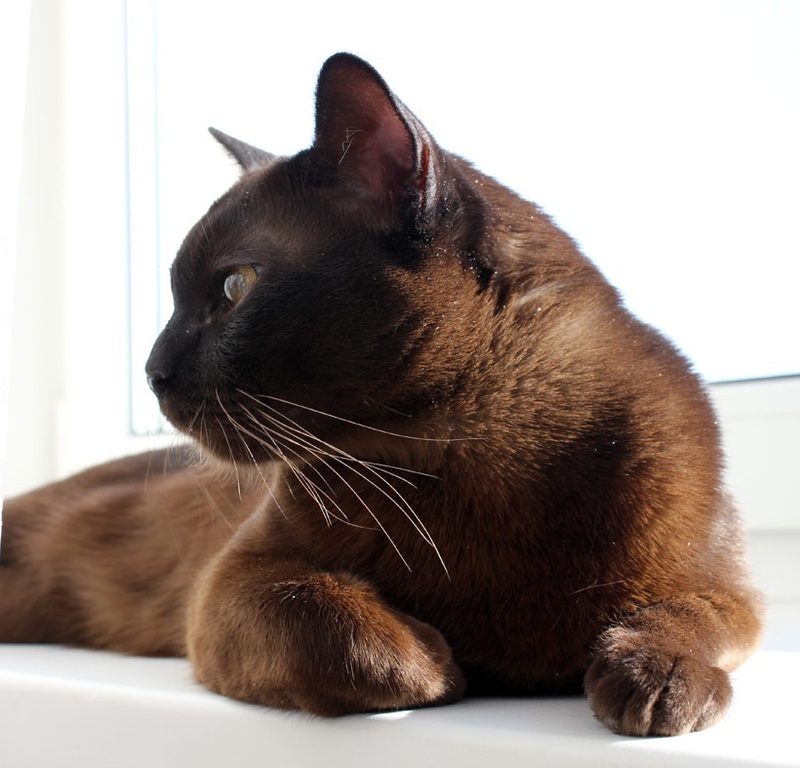 As you already know, Burmese breed divides on AMERICAN and EUROPEAN BURMESE. 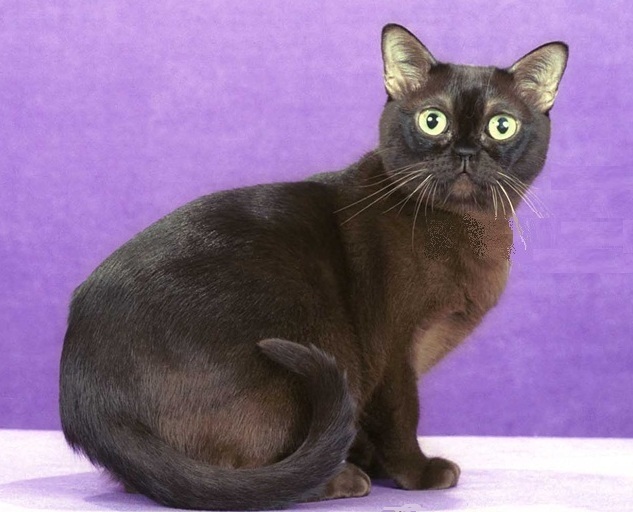 In turn American Burmese has 2 various lines inside the breed: TRADITIONAL and Contemporary. And despite that traditional and Contemporary Burmese are exposed under one standard, the distinctions between them are considerable. 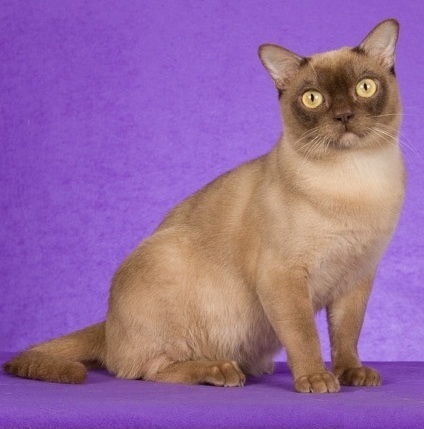 Contemporary American Burmese has more dolly expression of a muzzle. Stop (visible transition from a forehead to a nose) is even more expressed, and the muzzle is even shorter and wider in comparison with the others. Eyes are more convex, seem even larger. It is the most extreme type of breed. And the most important thing is that these 2 types bear absolutely different lines, almost being never crossed among themselves. 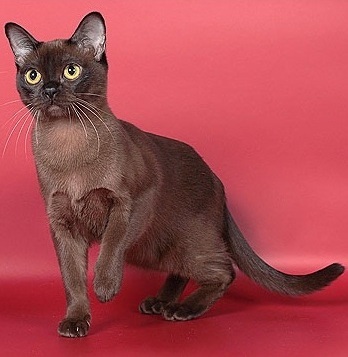 So, there are Burmese of the MIXED TYPE (mixes). 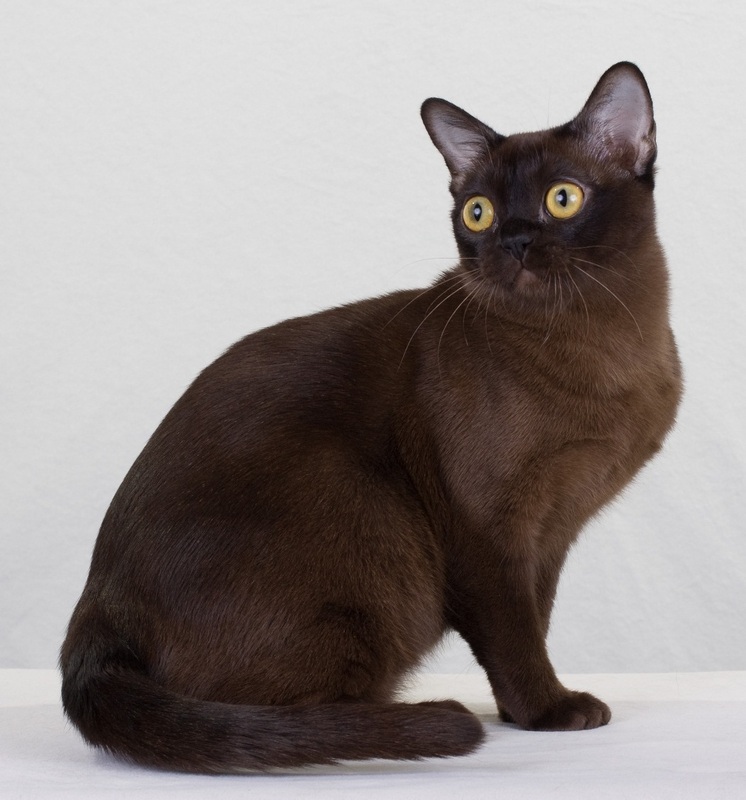 Outwardly they can be similar to American or European Burmese, but they have intermediate type more often as there are the representatives of both breeds in their family tree. In given article we won't describe the difference of the mixed type from European and American as by phenotype (appearance) the Burmese of the mixed type can resemble both the European and American Burmese. Well done! The test is passed! Thank the breeders for the good grace provided photos of their pets!